Team Xcorps rolls into Southern California’s Anza Borrego Desert State Park here for some low gear 4X4 off road rock crawling in a super remote area known for its Spanish history and massive pristine natural beauty – Coyote Canyon! Check the ON ROAD and OFF ROAD moves here with sweet sunrise and sunset shots in a California desert park which has more than 500 off road miles available to roll down! The Xcorps Jeep X cam unit even managed to find a couple small running stream crossings at a place that in 1774 the Spanish explorer Juan Bautista de Anza camped on an early expedition. Water is very hard to come by in this desert that often hits triple F numbers in the Summer. The pristine area MUST be respected on many levels! As usual Xcorps cameras were the only ones rolling with very few vehicles at all to be seen in the tolerable 105-degree heat! To shoot this video Xcorps used the new Sony HDR AS10 with the lens set at 170 degrees to cover the action from several angles! SUPER shooting in the gold desert light with the camera mounted on the hood of TheXcorps desert unit – a Jeep ZJ Grand Cherokee 4X4 resulting in a killer sharp POV film experience carried by great music! In this film segment are some sweet custom guitar riffs from XC amigo hombre Angelo Marruzzi along with a new music video from RIVE video promotions featuring jamming tough chick band Hunter Valentine led by Kiyomi McCloskey hailing out of Brooklyn NYC with a song called “The Pulse”. 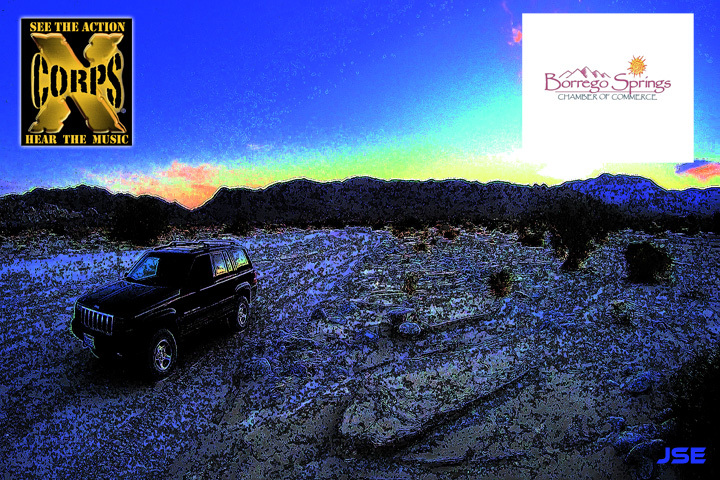 The songs words fit the deserted hostile yet amazing Borrego desert scenery perfectly! 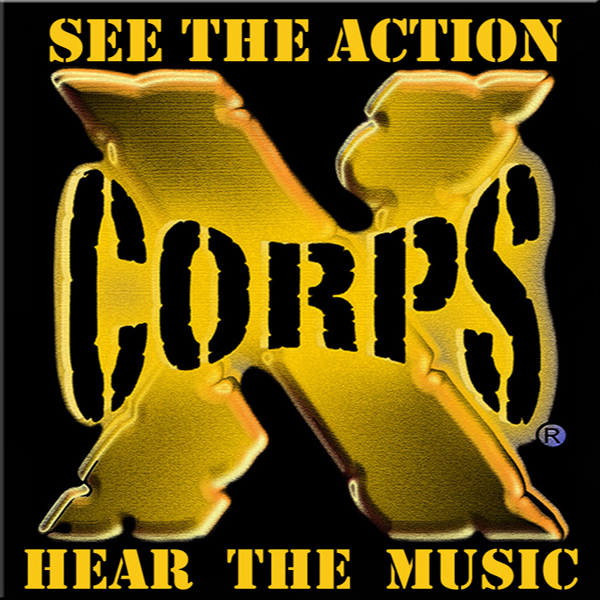 Xcorps thanks all the musical artists who have appeared on our Action Sports and Music TV show since 2001 we have always featured the music in our action sports TV format. Sunrise fog shots were shot on the way from San Diego to Borrego cruising down Ca Hwy. 79 into Santa Isabel. 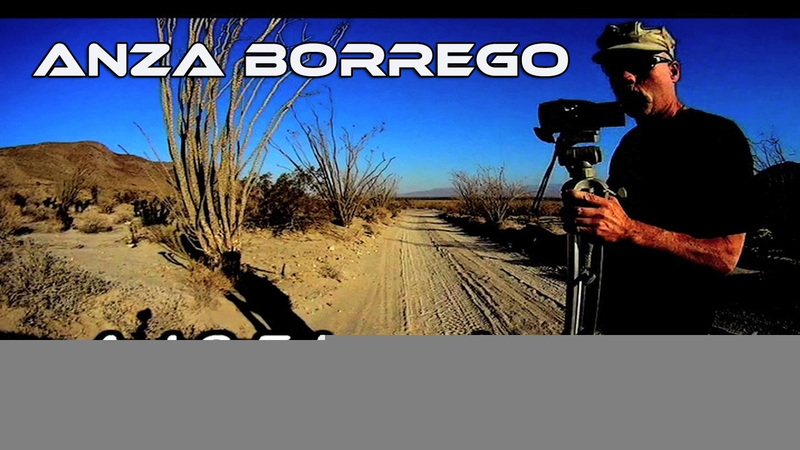 Stay Tuned for additional DESERT 4X4 Off-road Adventures on Xcorps episode called BORREGO X to be released soon! Special Thanks to the California State Parks Anza Borrego station for their direction in the making of this film. Additional Thanks to Linda Haddock and the Borrego Springs Chamber of Commerce The Borrego Springs Resort.